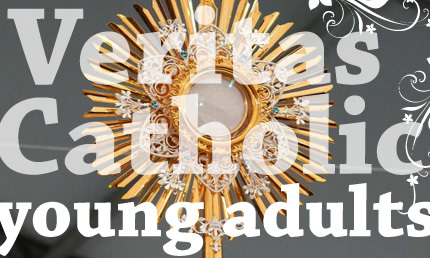 As response to the call for a New Evangelization, Veritas is an organization of Catholic young adults working in association with existing regional young adult ministries to provide and promote a weekly program of young adult Catechesis, Prayer, and Fellowship. We are open to any adults, married or single, under the age of 39. We are rooted in Adoration of the Blessed Sacrament, committed to the Sacred Liturgy and orthodox Catechesis of Sacred Doctrine, and aimed at the fullness of Christian Charity and a revitalization of the culture. Founded in Northern California, as a grass roots young adult group, Veritas is now available nationally as a model for solid, Catholic young adult ministry.